2 Bedroom Detached Flat For Sale in St Austell for Guide Price £650,000. These superb luxury 2 bedroom apartments offer unparalleled views across Carlyon Bay, and are located in one of the most sought after addresses in the South West will soon be ready for viewing. 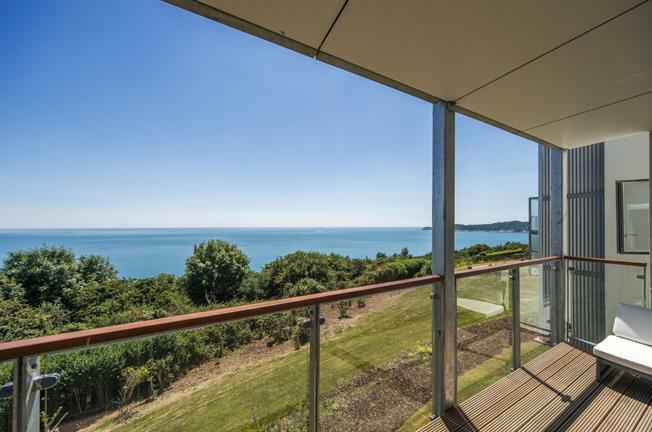 Penolva is a beautiful newly built property nestled against the dramatic English Channel. The 8 apartments are all two bedrooms and feature a range of layouts and finishing features. The range of two bedroom apartments offer alternative layouts to suit every buyer. There are 3 apartments on the ground floor, 3 on the middle floor and 2 penthouse apartments available. Each apartment has its own character with all benefitting from a large balcony to take full advantage of the south facing sea and coastline views. Penolva was designed with simplicity in mind allowing easy maintenance and hassle free living with a management company maintaining all the communal spaces. This apartment block is perfect for both permanent residences and second home owners. Undoubtedly the main feature of the development is the stunning vibrant location, perched on the iconic south Cornish coastline enjoying exceptional views. Access to the development couldn't be easier with the nearby St Austell or Par train stations on the mainline to London Paddington. Newquay Airport is also within a 30 minute drive together with an extensive and recently upgraded A30 road network. Kitchens are provided by Kettle Co Kitchens and feature a modern and contemporary layout which complement the open plan nature of the living space. Work surfaces are 20mm Silestone Quartz with a range of base and wall mounted units fitted. Appliances are supplied by Miele including a single oven, ceramic hob, integrated extractor, microwave and integrated dishwasher. Fridge and freezers are also integrated on a 70/30 split. Bathroom suites are Villeroy & Boch sanitary ware fitted in a contemporary white colour complimented by either grey or cream wall tiling. The en suite shower rooms in the master bedrooms are again Villeroy & Boch sanitary ware with a range of Villeroy & Boch tiling colours as mentioned previously. Each apartment comes with an Architects new build warranty. All apartments will be sold with 1 allocated parking space. There will be a number of visitor parking spaces available together with a disability space provided. All apartments will be sold with a 999 year lease with a monthly service charge applicable. Penolva is located on the desirable Sea Road, and as such benefits from the lifestyle that comes with it. Private roads flank the development, yet you are far from isolated and still in easy reach of all local amenities. Everything from independent village shops selling arts and crafts, to Middle Eastern restaurants and Yoga retreats can be found nearby, while the charming late Georgian working port of Charlestown is just a short and lovely walk along the South West Coastal Path. The future Carlyon Beach development will bring more culture to the area, including theatre and live music events on the beach. See www.carlyonbeach.com for more details.